Should be an Indian Citizen. Those who lives in outside India but have an Indian Passport can apply for OJEE. Those who want to admission in Government colleges in Odisha Should be belong from the Odisha State. Those who belong from the outside state of the Odisha are not eligible for admission to government colleges. Qualifying Exam: Candidates should pass 10+2 or its equivalent examination from a recognized university in 2018. Subjects: Candidates must have Physics & Chemistry as a compulsory subject in their qualifying examiantion, i.e. Biology/Mathematics/Bio-Technology/Technical Vocational Subjects. Minimum Marks: Candidates need to secure minimum 45% marks (40% for reserved categories). Age Limit: No age limit is defined for this course. Those who are appearing in the qualifying examination can also apply. Qualifying Exam: Candidates should passed their 10+2 or its equivalent examination from a recognized board in 2018. Subjects: Candidates must have Physics, Chemistry & Biology (Botany & Zoology) subjects in their qualifying examination. Minimum Marks: Candidates need to secure minimum 50% marks (40% for reserved categories) in PCB subjects. Age Limit: Candidates should be 17 years pf age as on 31st December 2018. Candidates must qualify their NEET 2018 for admission to the BAMS/BHMS courses. Qualifying Exam: Candidates should passed their 3 years diploma in engineering/technology (2 year in case of Lateral entry Diploma) in 2018. 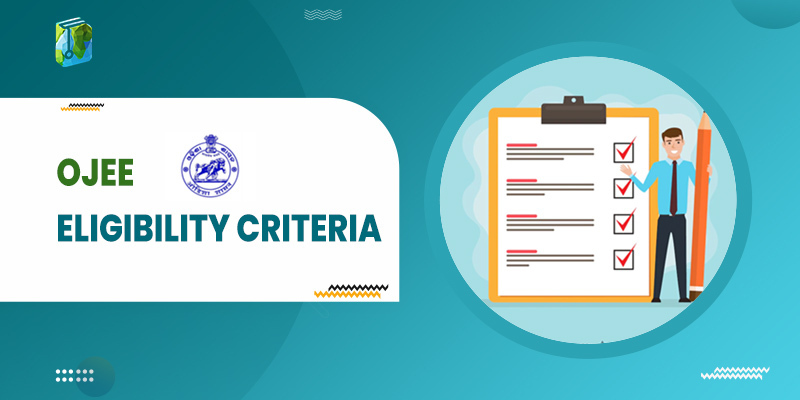 Minimum Marks: Candidates need to secure minimum 45% marks (40% for reserved categories) in their equivalent examination. Those who are belong from other state can also apply for private colleges which are exist in Odisha. Qualifying Exam: Candidates should pass their 3 years bachelor’s degree in science from a recognized university in 2018. Subjects: Candidates should pass the 10+2 examination with Mathematics subjects. Candidates should have clear their engineering graphics and drawing in 1st year or also in 2nd year subjects. Qualifying Exam: Candidates should pass their 2 years diploma in pharmacy after 12th in 2018. Minimum Marks: Candidates need to secure minimum 45% marks (40% for reserved categories) in appropriate branch of engineering/technology. Qualifying Exam: Candidates should pass the 3 years bachelor degree in any discipline from a recognized university in 2018. Subjects: Candidates must pass 10+2 or Graduate Level with mathematics subject. Minimum Marks: Candidates should obtain minimum 50% marks (45% marks in case of reserved category) at the qualifying examination. If candidates passed their BCA and other equivalent courses with mathematics subjects can apply for OJEE. Qualifying Exam: Candidates should passed their 3 years bachelor degree in BCA, B.Sc (IT/ Computer Science/IST/ITM) from a recognized university in 2018. Subjects: Candidates must qualify 10+2 or Graduate Level in mathematics subject. Business Mathematics at +2 level is not permitted. Minimum Marks: Candidates need to secure minimum 50% marks (45% marks in case of reserved category) at the qualifying examination. If in case a candidates who passed their BCA from others state can also apply for private engineering colleges. Qualifying Exam: Candidates should pass 3 years bachelor degree OR 4/5 years bachelor degree in Engineering/technology/architecture/pharmacy in any discipline from a recognized university in 2018. Qualifying Exam: Candidates should be passed their 4 years bachelor degree (B.Tech/M.Sc) in the relevant specilization from a recognized university in 2018. Qualifying Exam: Candidates should be passed their bachelor or its equivalent degree in pharmacy from a recognized university in 2018. Minimum Marks: Candidates need to secure minimum 55%(50% marks in case of reserved category) at the qualifying examination. Qualifying Exam: Candidates should be passed their bachelor degree in the relevant specialization in architecture from a recognized university in 2018. Minimum Marks: Candidates need to secure minimum 50% marks (45% marks for reserved category) at the qualifying examination. Qualifying Exam: Candidates should be passed their bachelor degree in Architecture, Planning, Civil Engineering OR Master’s Degree in Economics, Geography, Sociology, Anthropology, Environmental Science, Statistics, Social works with specialization in Community Development and Rural Development in 2018. 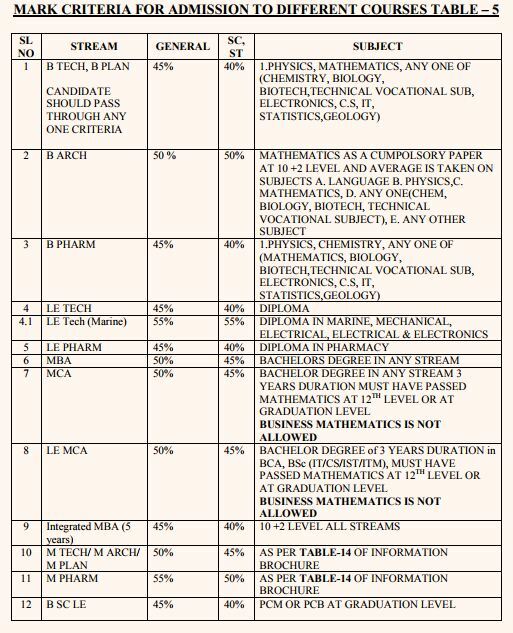 Minimum Marks: Candidates need to secure minimum 50%(45% marks for reserved category) in all major subjects in their qualifying examination and equivalent. Qualifying Exam: Candidates should be passed their 10+2 or its equivalent examination from a recognized board in 2018. Minimum Marks: Candidates need to secure minimum 45% marks (40% marks for reserved category) in all major subjects in their qualifying examination and equivalent.